This is a die-cut Grain Belt Beer porcelain sign. This particular Grain Belt Beer sign is very colorful. 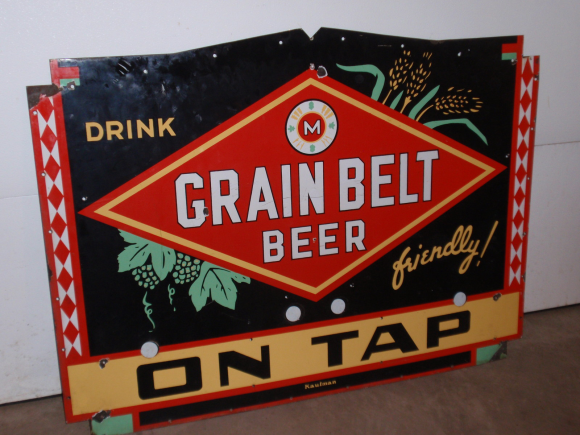 It reads, “Drink Grain Belt Beer On Tap, Friendly!” and features a red diamond with white text against a black background that includes wheat and grapes.